Voila is a slot machine that lets players experience the best of Paris from anywhere in the world. From romance to cuisine it is all right here. This might not be a progressive machine, but there are 243 different ways to win some quick cash! This does not mean you need to play 243 pennies to cover all the different ways. Just 30 coins will cover everything and leave you jumping around. Getting wild means the Voila logo symbol has made an appearance on the reels. It only takes three wilds to strike a win. There will need to be one on the first reel then two adjoining reel. Of course depending upon how big of bet was placed will determine how much will be won. Assuming there was just one penny bet three wilds will drop 150 coins, four wilds will spit out 400 coins, get one wild on all reels and 1500 coins will drop right to your account. When a scatter appears it will be the symbol that says Bonus. It only takes two of them to win and trigger the bonus game. If you decided to give a bet of 30 coins it will be your lucky day depending upon how many scatters show at once! Two scatters gets 30 coins, three of these scatters gives 600 coins, four scatters will have you on the edge of your chair with 6,000 coins, and five scatters will drop 60,000 coins! The bonus game will stay hidden until you are graced with a minimum of three scatters dancing across the screen. 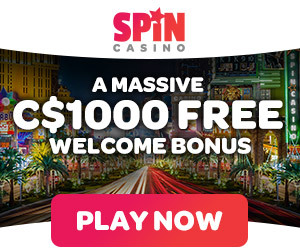 Not only will you receive the scatter payouts, but there are 20 free spins given. This is where this can mount up rather quickly. While playing the spins if a winning combination shows up it will automatically be multiplied by two.